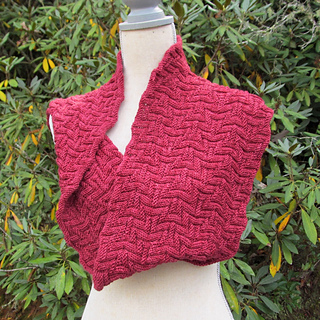 Simple knits and purls create a fully reversible textured cowl with lots of scrunch and depth. 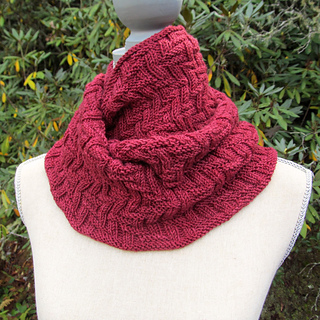 Knit in the round, City Paths is long enough to wrap once or twice around your neck. The gauge given is an estimate - the pattern compresses both horizontally and vertically and this is an un-stretched gauge. Aim for a fabric that is stretchy and bouncy, not too tight or floppy. 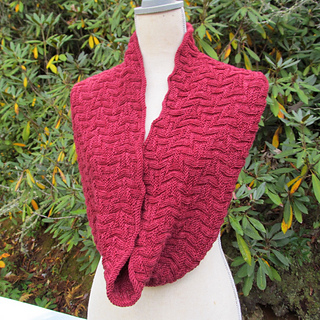 Pro tip: 288 stitches is a lot to cast on in long-tail cast on. I cast on with both ends of the ball to save trying to measure that long tail (yes, it’s another couple ends to weave in).